The Hornbach Home Improvement House of Imagination campaign has been awarded with a Titanium Integrated Silver Lion at Cannes International Advertising Festival, recognition of a campaign based on the promise, “Du Kannst es Dir Vorstellen. 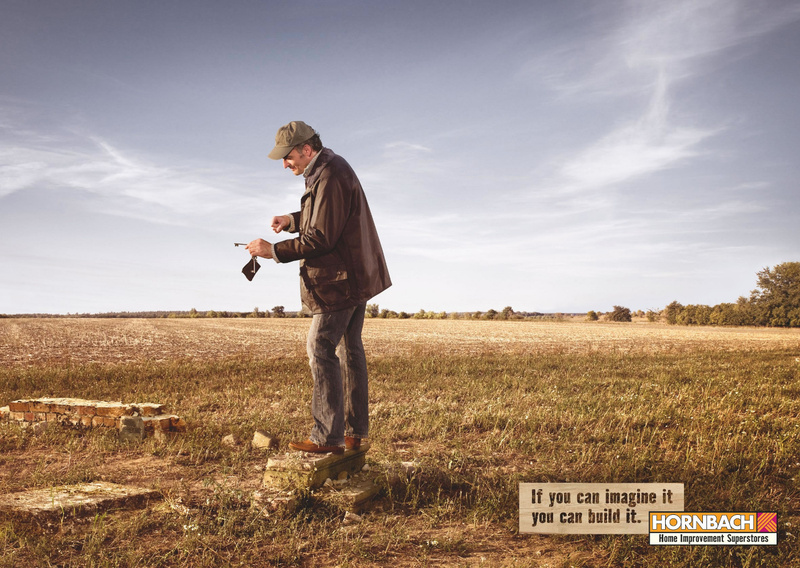 Also kannst Du es auch bauen.” (If You Can Imagine It, You Can Build It). 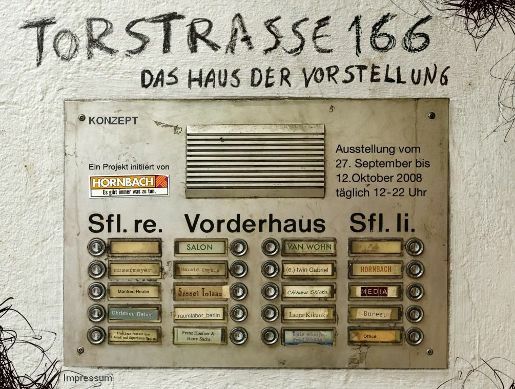 Heimat Berlin worked with Hornbach to found Das Haus der Vorstellung (The House of Imagination), an old empty apartment building in the middle of Berlin. 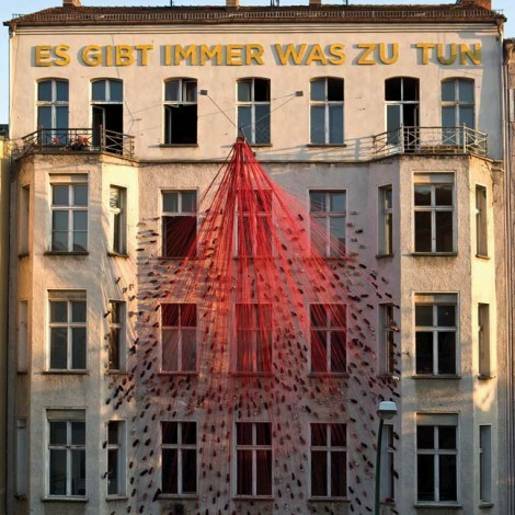 Twelve international artists turned the standard living rooms provided into amazing, bizarre, fantastic spaces to be visited by the German public and used for a music club and restaurant. More than 2,000 people attended the official opening, which once again put Hornbach on the map of D.I.Y. and cultural life in general. The event drew attention worldwide and made Hornbach stand out from the massive field of competitors who usually focus on low prices and even lower prices. In total 18,000 people showed up to see the House of Imagination event and exhibition. Sales at the eleven Berlin Hornbach Stores increased by 30% shortly after the massive press echo and word of mouth. The main 2008 theme was brought to life via TV. The event and exhibition was announced and documented with a billboard and ad campaign as well as an internet site that regularly provided progress updates. Before and after we used massive classic media to get the message heard from Sweden to Romania. Even after event, the campaign remained in the streets with billboards and Super posters. 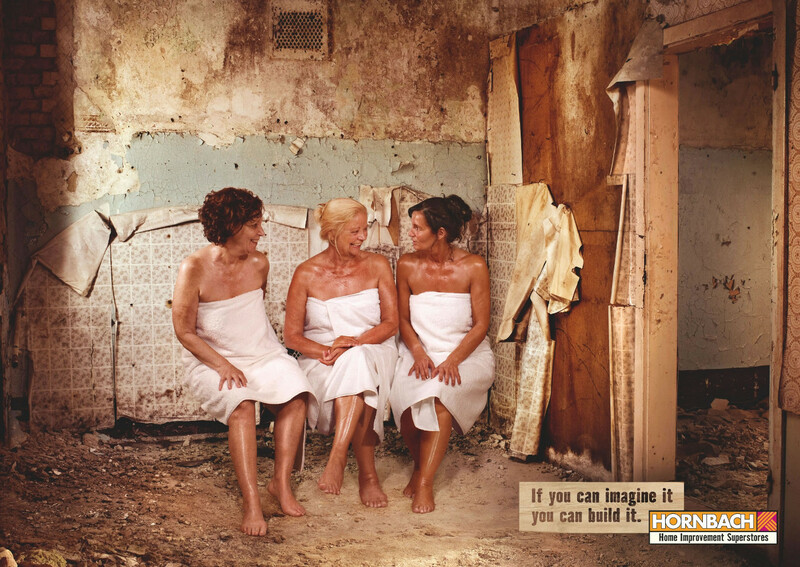 The House of Imagination campaign was developed at Heimat, Berlin, by executive creative director Guido Heffels, creative director/copywriter Matthias Storath, creative director/art director Kai Gerken, copywriter Susanne Düber, art director Danny Baarz, graphic artist Maria Botsch, agency producer Kerstin Breuer. 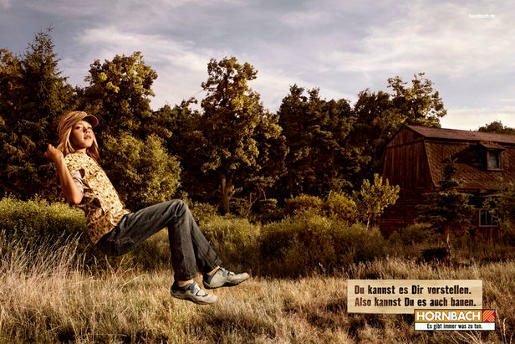 Hornbach head of advertising was Frank Sahler and Sylvia Spaethe. Filming was shot by director Ralf Schmerberg at Trigger Happy Productions with producers Stephan Vens and Miliane Nani Meimeth. Photographer was Markus Mueller. Sound was designed by Mosermeyer and Audioforce.